A while back I ordered from ColourPop, and when I did I got a free lippie! Cool, yeah? 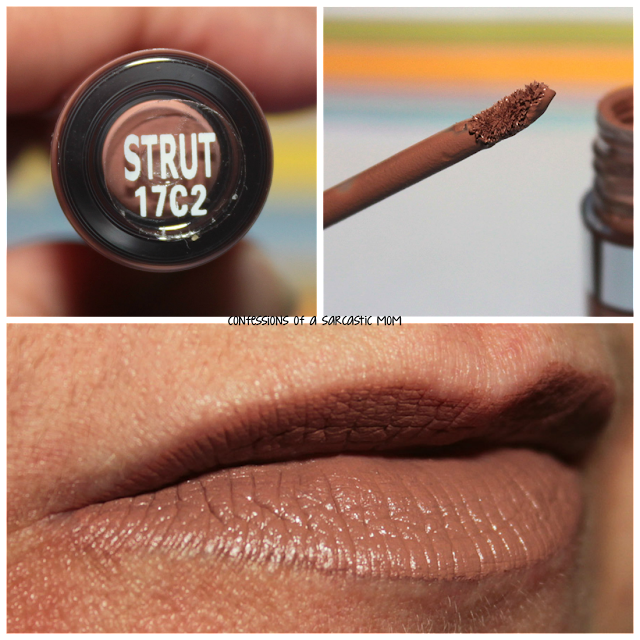 Well, I decided to try the Ultra Satin Lip in Strut, a cool-toned taupe. I'm not really sure if it's my kind of color, but I do love the formula! I had previously purchased one of the Ultra Matte Lips (in Ouija), and I wasn't fond of it. It flaked and broke up and wasn't a great color for me. 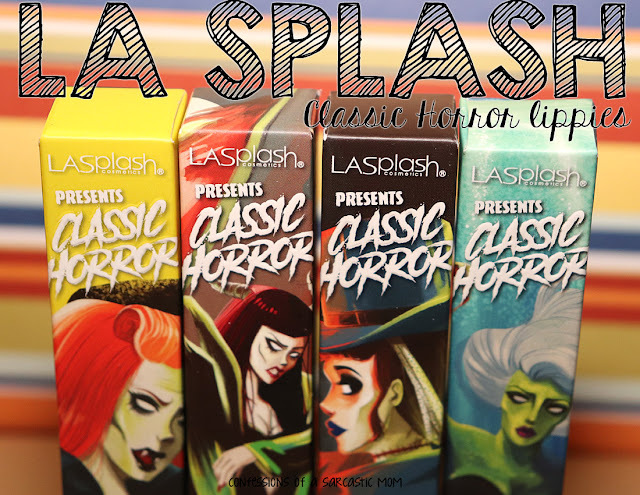 But I heard everyone rave about the Ultra Satin Lips, so I figured what the heck! I think this shade is just a bit too brown for me. The formula, tho! It is quite nice. I'm pretty impressed with this formulation. I just need to find a color better suited for me. 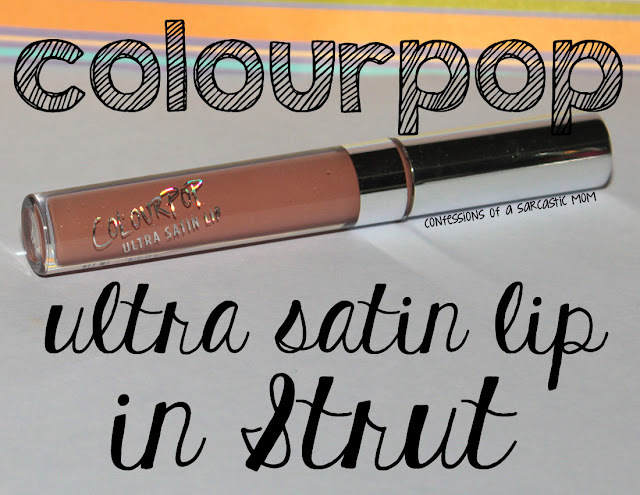 Do you have this shade or another ColourPop Ultra Satin Lip? You can get Strut on the website for $6.50. Seriously. Only $6.50!